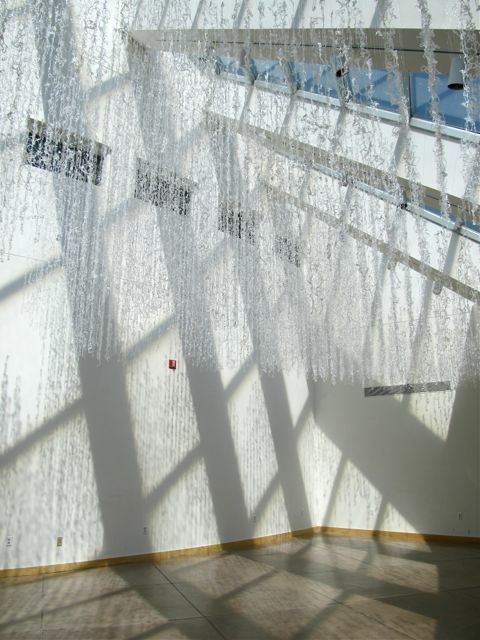 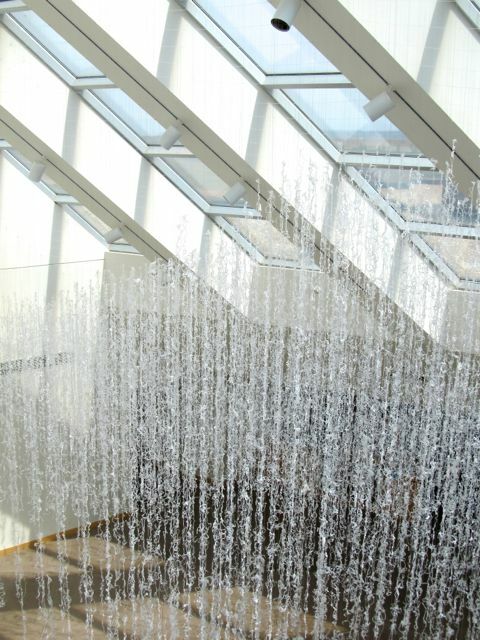 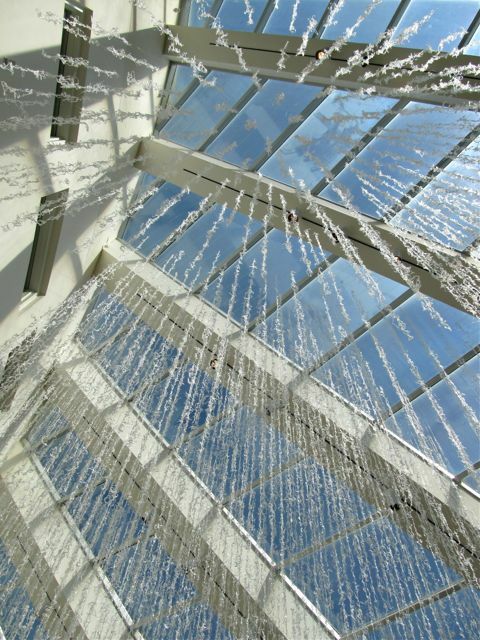 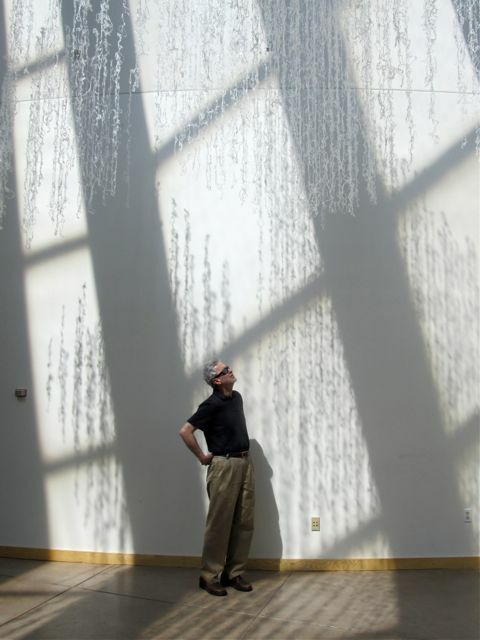 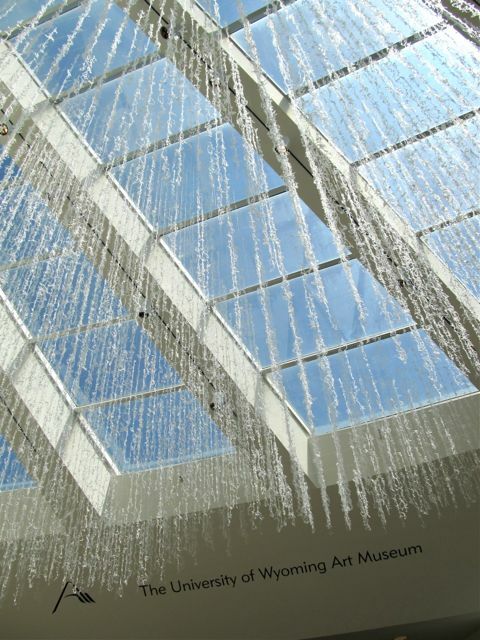 Commissioned for the Wyoming Sculpture Invitational, this large-scale installation of cascading strands created an overhead canopy in the museum lobby. 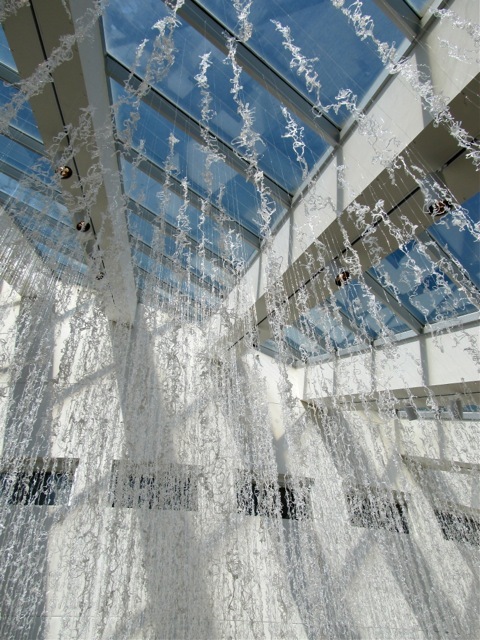 It was designed in response to the architecture of Louise Predock. 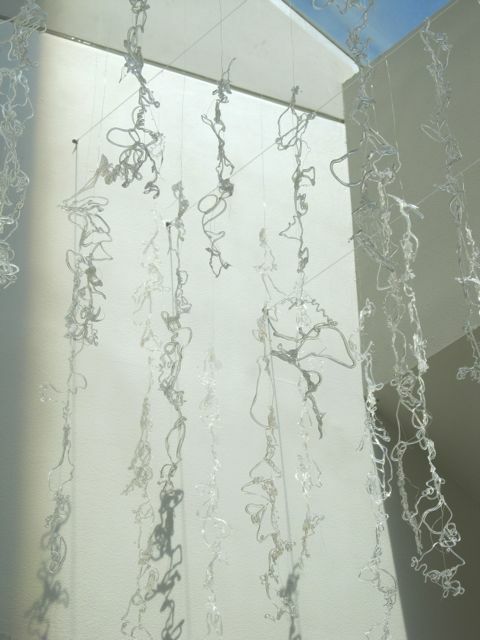 The title speaks conceptually of the layering of clouds between earth and sky. 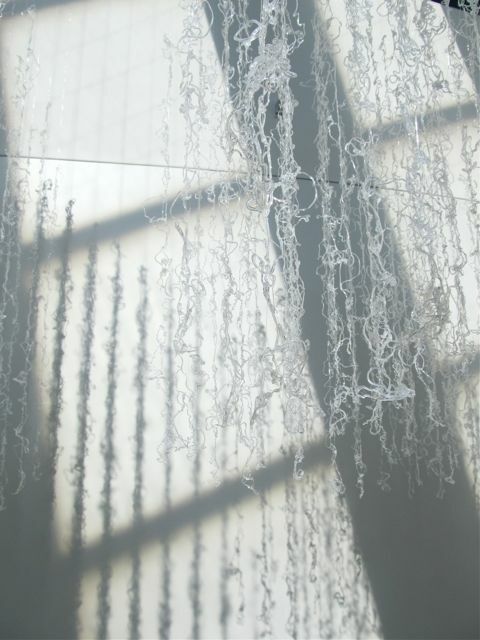 Defined by a gossamer tactility, the work plays with dynamics of light and shadow as they change throughout the day and the contrast between gestural squiggles and their gridded precision.